We offer affordable and high quality party rental equipment for your next party or event. We have affordable and high quality party rental tables for your party or event in Miami and Kendall. From every size in rectangular and round. Our selections cater to every event. We have all the supplies you'll need to make your party a success. No matter what occasion we can provide chair rentals for your banquets, weddings, backyard parties, private parties and corporate events. Affordable and high quality party rental equipment in Miami and Kendall for all your party needs. 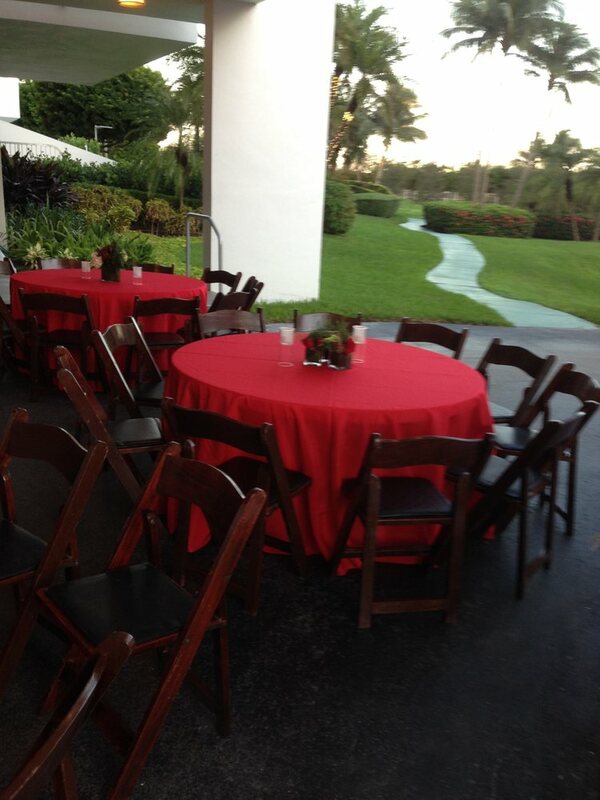 We offer party rental tents for any occasion in Miami and Kendall. Whether you're hosting 20 people or 100, you are guaranteed. Our professional and experienced staff will service our customers every time. We can also provide high quality equipment such as lighting, frame and pole tents. DIS-SAL Party Planning is a full service party rental and event planning company in Miami and Kendall. Supplying rental needs for weddings, gatherings, private parties, and corporate events. Low prices and affordable high quality party rental equipment. We have all the supplies you'll need to make your party a success.